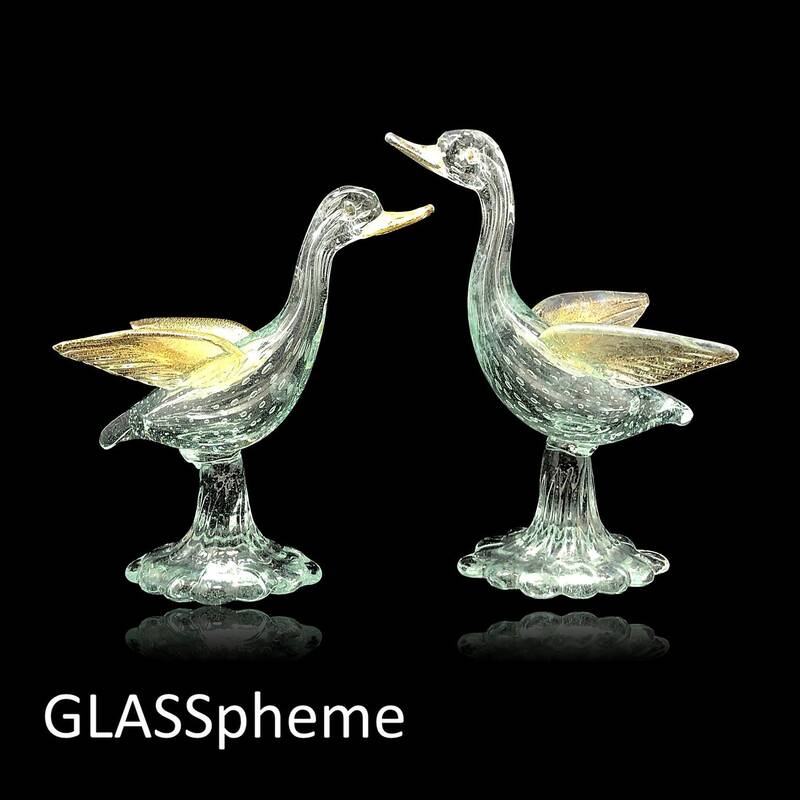 Feast your eyes on this C.1950s set of Murano glass love bird/duck sculptures by A.VE.M (Arte Vetraria Muranese). 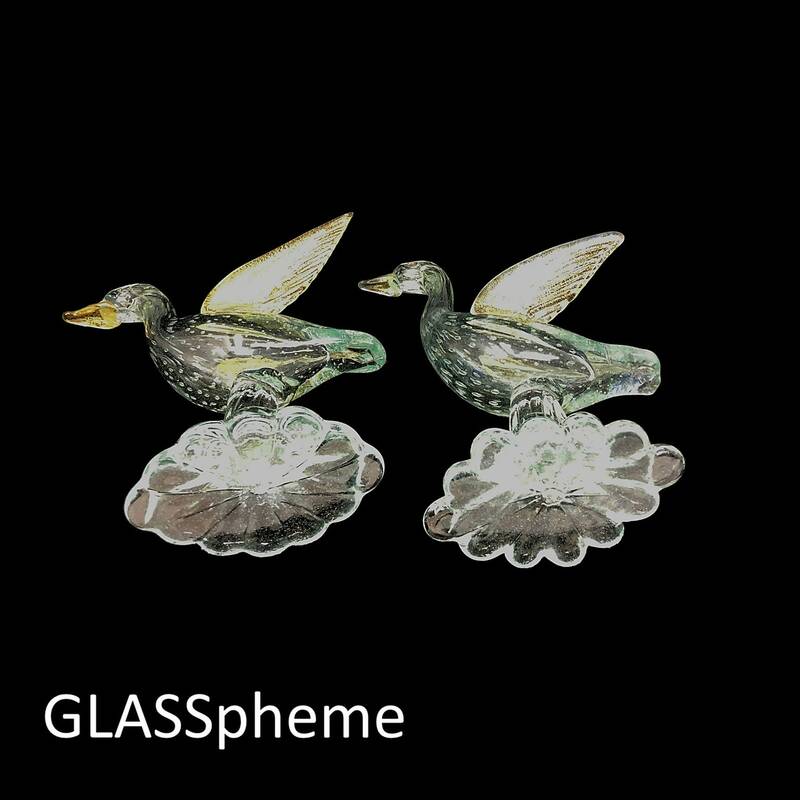 Done in a slightly glue/green cast clear glass with gold aventurine accents on the wings and beaks. 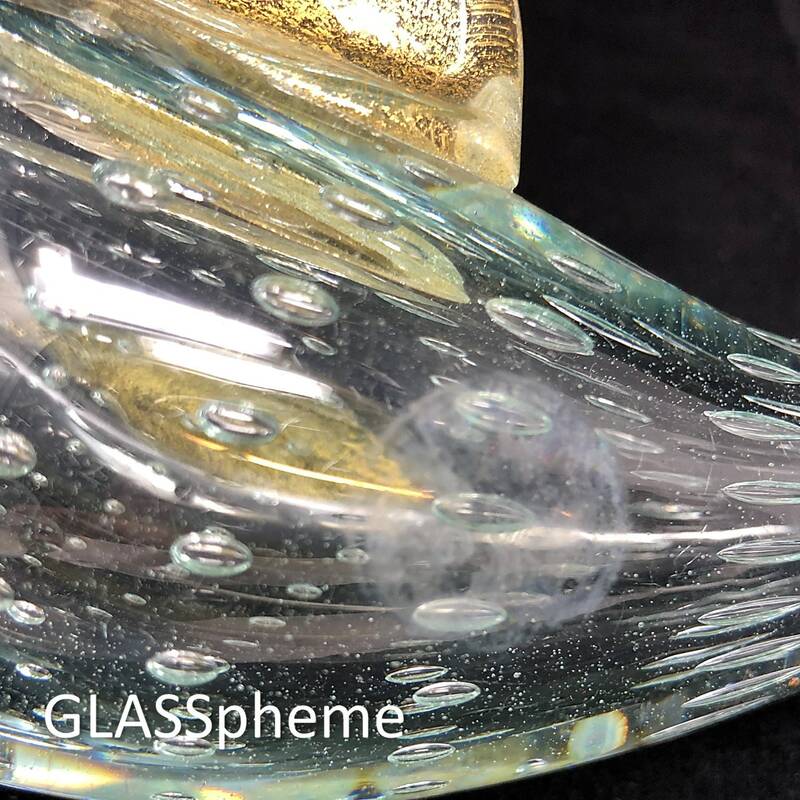 these beauties are hollow inside, which addes to the definition and dimension of the clear glass. 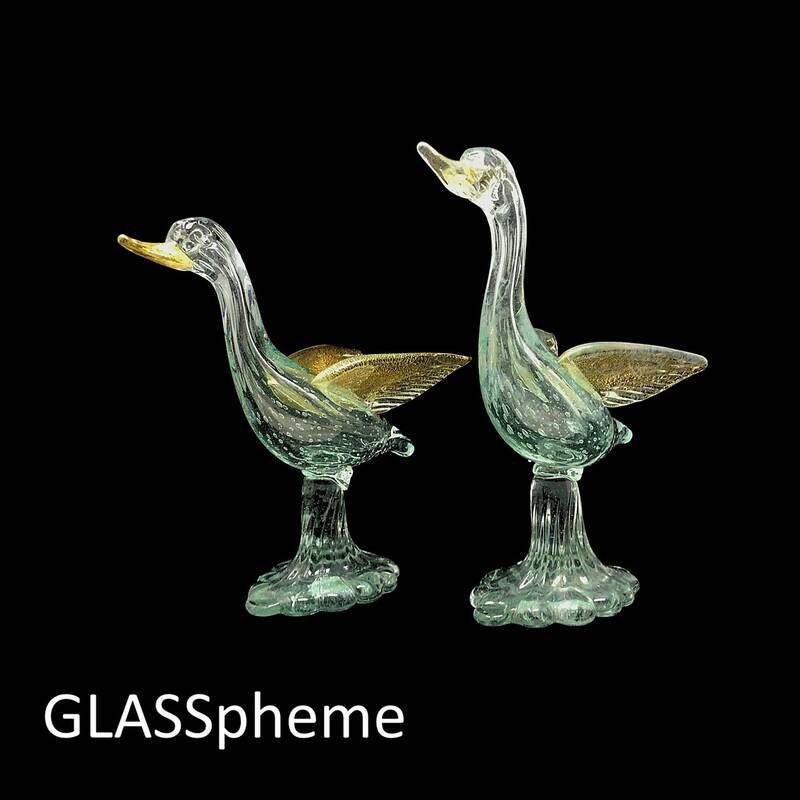 AVEM, in my opinion, is a much-undervalued mid-century Murano furnace when it comes to glass sculptures as they were mainly distributed unbranded under generic Venetian Glass Made in Murano Italy labels and more difficult to identify as A.VE.M production. 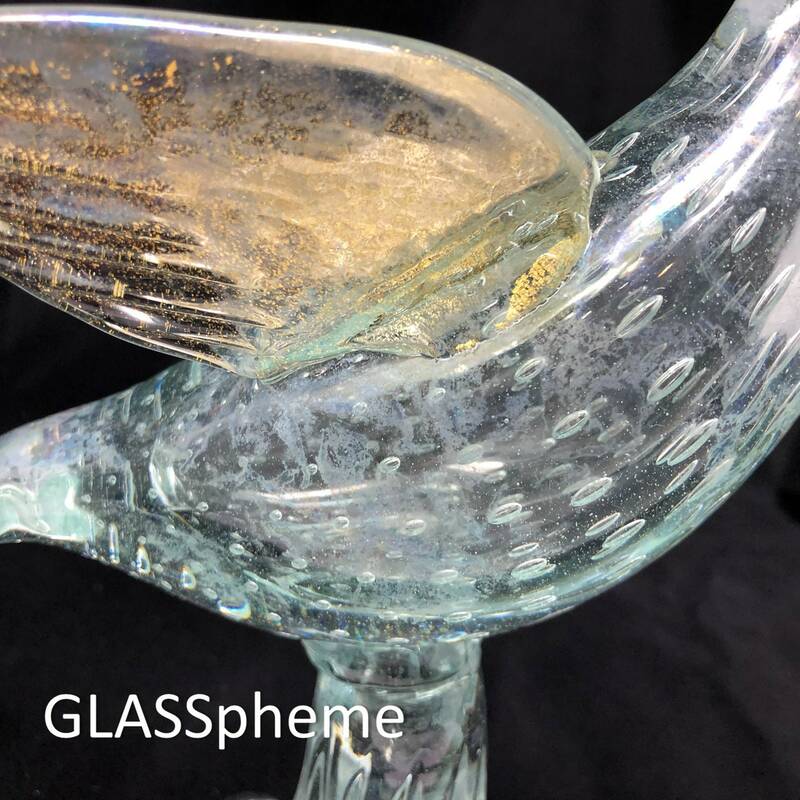 Here, the birds' bases are well documented as an AVEM production. CONDITION: Excellent with some minor factory flaws including light condensation and interior scuffing marks on the taller bird. No chips, damage, etc.